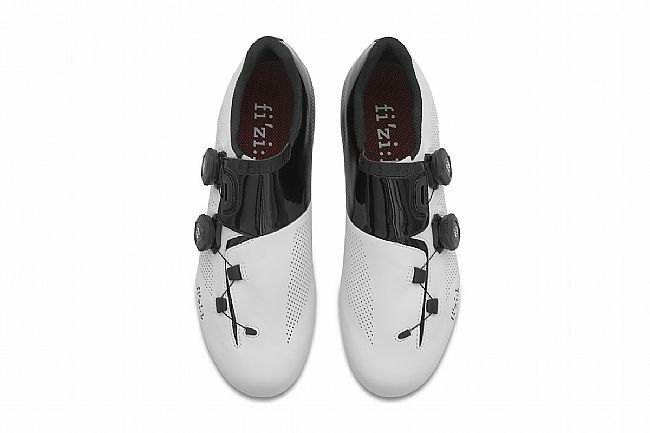 The Fizik Aria R3 Road Shoes combine an adaptable fit, proven comfort, and race-worthy stiffness to deliver premium performance. 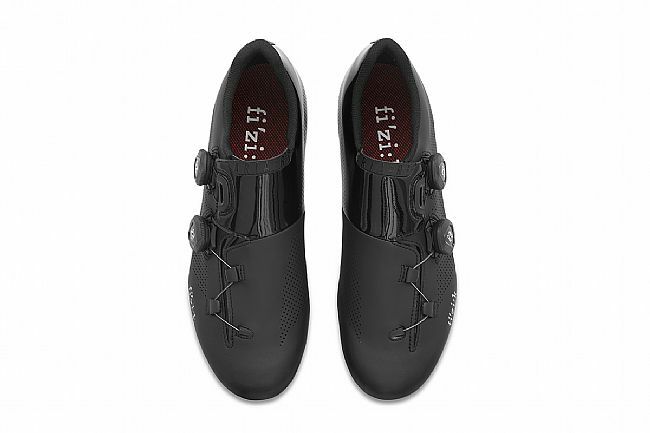 Using two micro-adjustable Boa IP1-B dials for the ultimate in customizable, easily adjustable closure, pulling the upper snug around the foot. 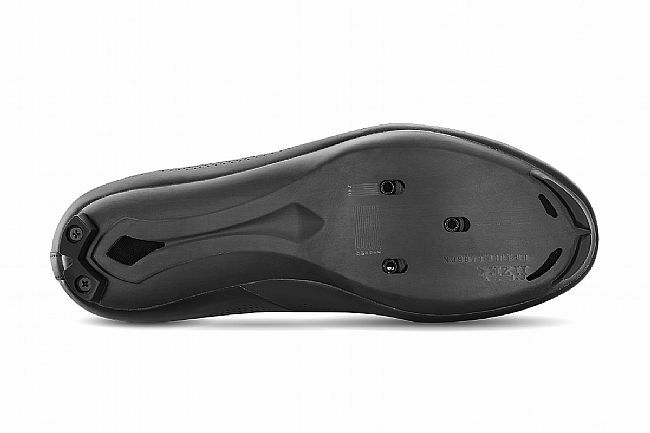 Featuring a simplistic, aerodynamic design, the Microtex synthetic upper is durable, supple, and engineered for all-around support thanks to their Enhanced Volume Control. At 1.2mm thick, the Laser Perforated Microtex adds the optimal amount of lightweight, breathable protection for all seasons. 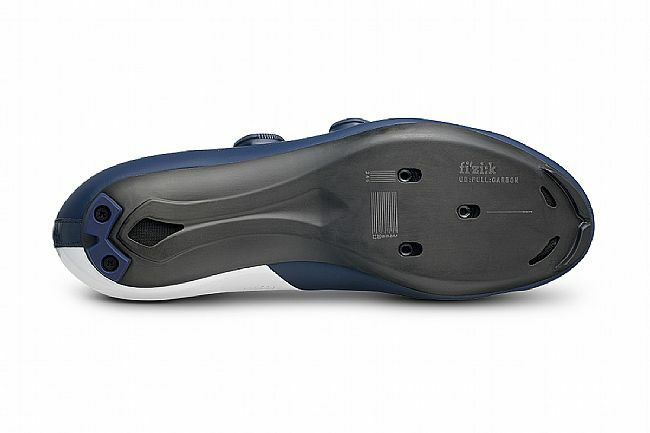 Down below, the Aria R3's uni-directional Full Carbon Outsole is lightweight and laterally stiff for the ultimate in power transfer. 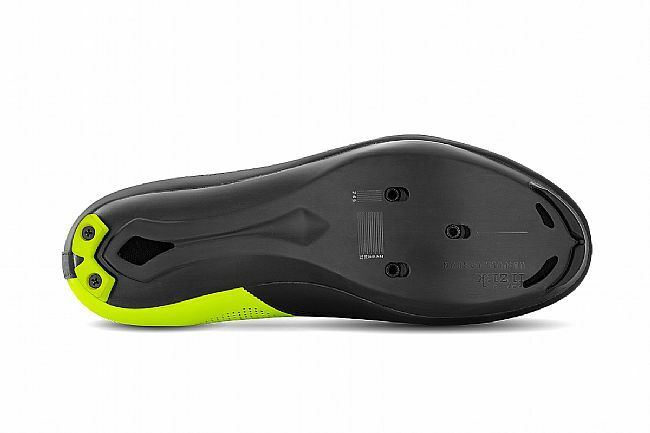 Discreet toe studs and a removable double heel-stud provide off-the-bike traction. 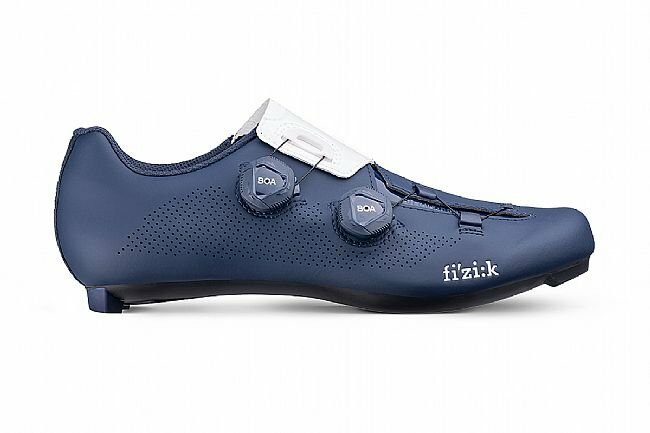 Inside, Fizik's insole provides a subtly cushioned barrier between the shoe and the foot, cupping the heel for the optimum in stable pedaling. 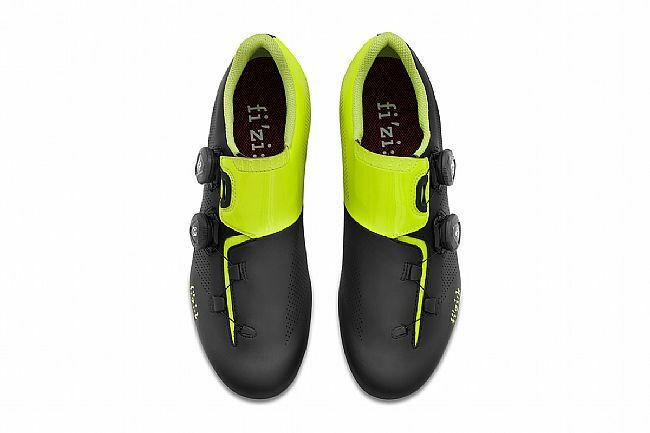 The Fizik Aria R3 Road Shoe Is compatible with 3-bolt road pedals and cleats. 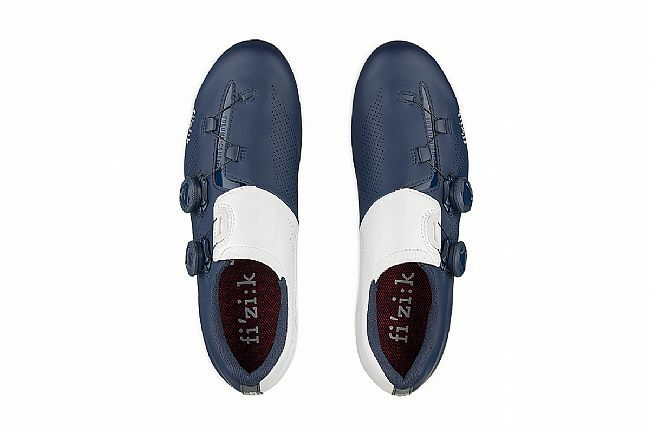 Laser Perforated Microtex synthetic upper is supple, sleek, and supportive. Enhanced Volume Control with two micro-adjustable Boa IP1-B dials for glove-like fit. 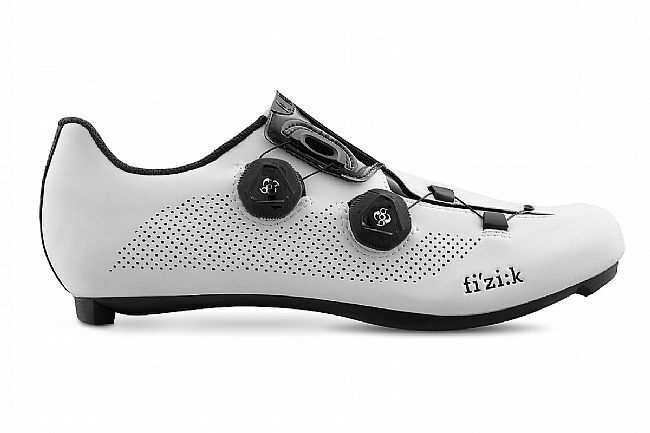 Third pair of Fizik. Gorgeous silhouette. Outstanding craftsmanship. 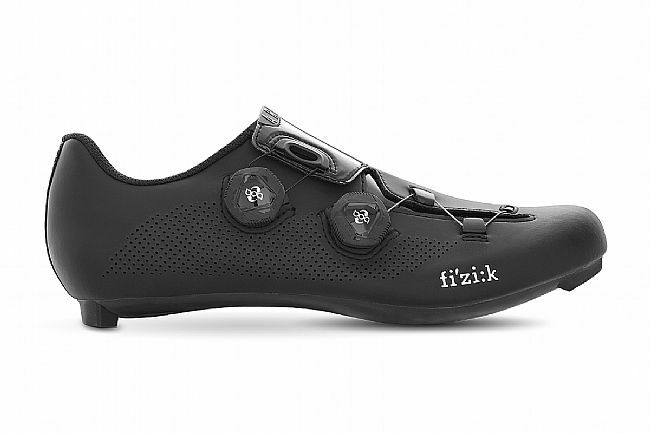 These fit a bit large- maybe 5mm longer than my Fizik R1 Uomo. Experienced the same as previous reviewer where edge of tongue dug into ankle but after 50 miles broke-in. 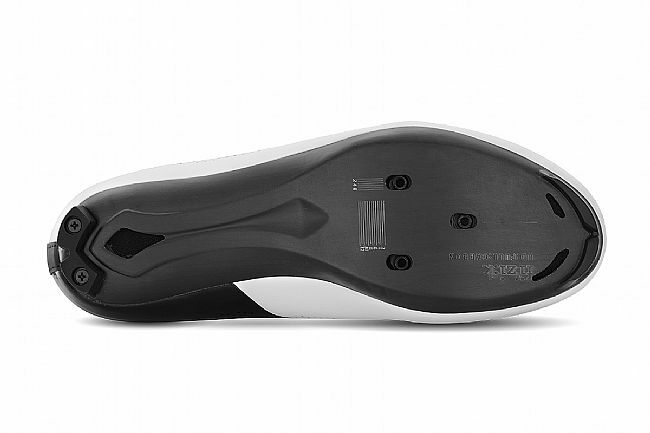 Very stiff carbon sole. Prefer an aftermarket insert vs OEM on all of my shoes. 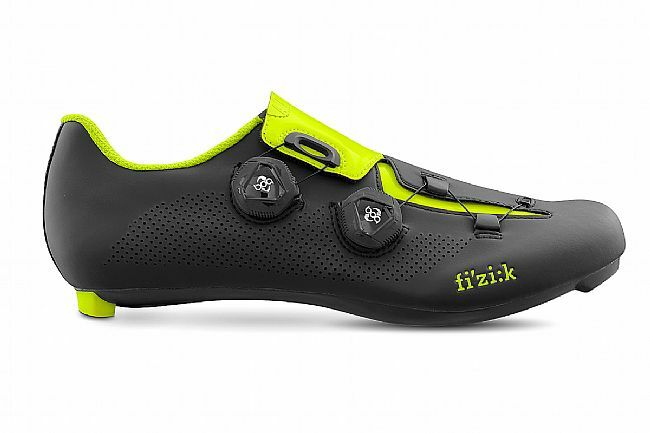 Durability on par with Sidi. Flat white scuffs easily vs wheel rub but cleans well. At this price point hard to beat. BikeTiresDirect.com shipped promptly.